Pink Velvet Cakelettes with Pink Cream Cheese Frosting are perfectly easy to make. Celebrate any special occasion with your famiglia and friends. Are you ready for cuteness overload? You sure? 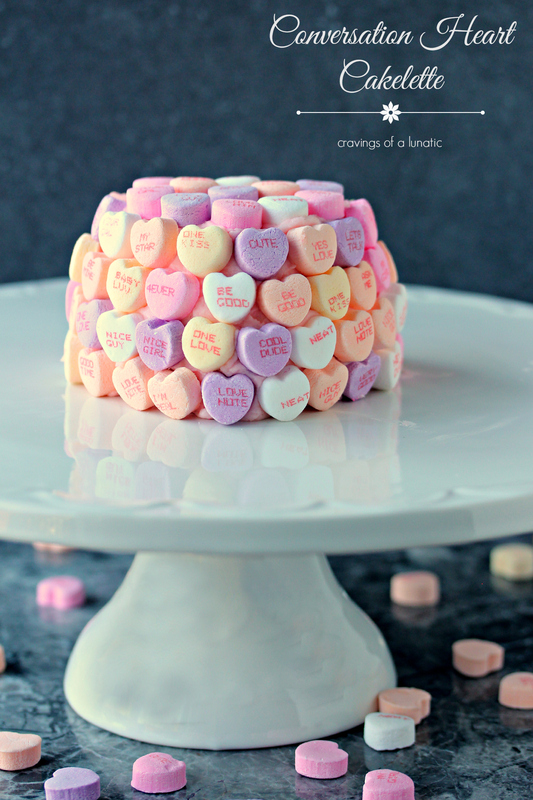 These little conversation heart cakelettes are made with pink velvet batter, then topped with pink cream cheese frosting, then finally layered with conversation hearts. But that’s not all folks!!! 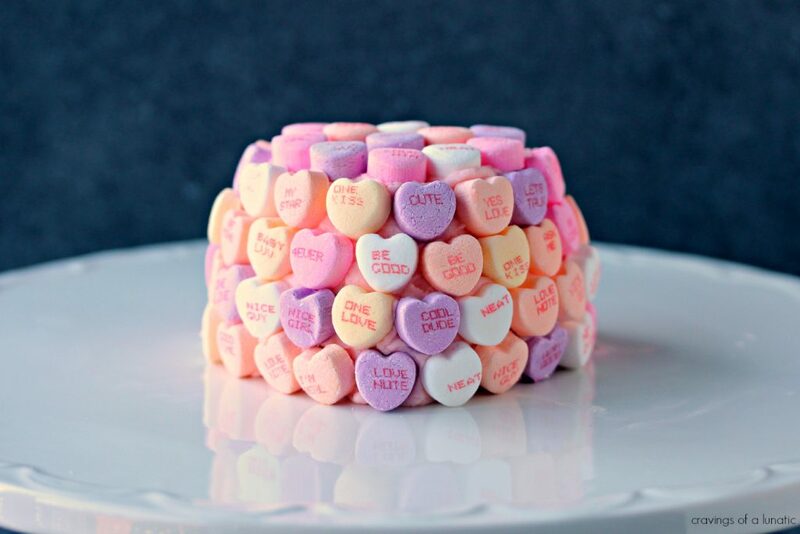 Before they get sealed up with frosting I filled the middle of each one with conversation hearts so when you dive in you get a cute sugary surprise. I know right. It is adorable overload. You can top these with any candy you like. I did a batch with these conversation hearts. I also did a batch with cinnamon hearts. Then another with sprinkles. The possibilities are endless. You can use anything your heart desires to fill them, and to cover them in. It’s versatility overload. I made these cutie-cakes for Cake Boss Baking. They have generously offered to giveaway a cake stand, spatula set, and a heart cakelette pan to one of my very lucky readers. You are going to have a blast with these prizes. The cake stand has quickly become my new favourite thing to include in all my food photos. I’m hooked on using it. So you will be seeing a lot of it on the blog. The spatulas are perfect for decorating cakes. Plus the cakelette pan is so versatile. 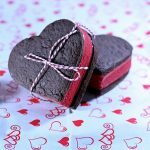 So get ready to show off your own “love is in the baking”. If you win this prize pack I cannot wait to see photos of what you make. In the meantime I encourage everyone to get their bake on. 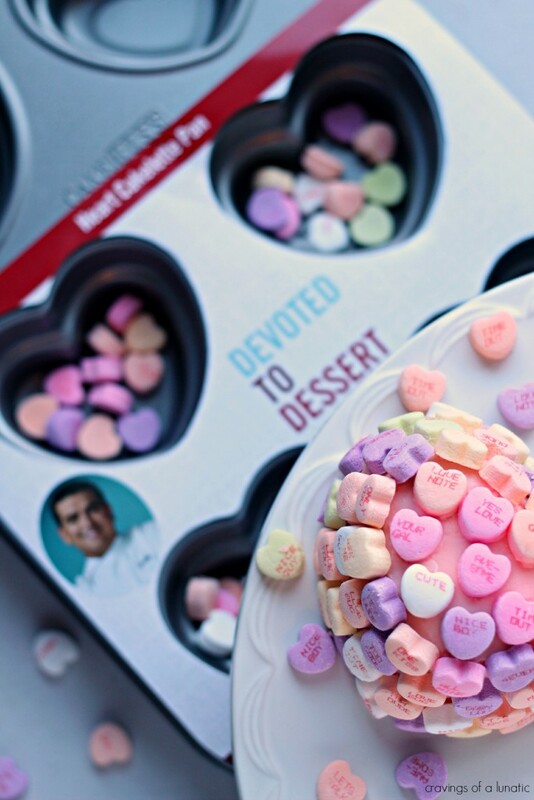 Use the #loveisinthebaking hashtag to show us what you are baking up for your friends and famiglia. Can’t wait to get the recipe? 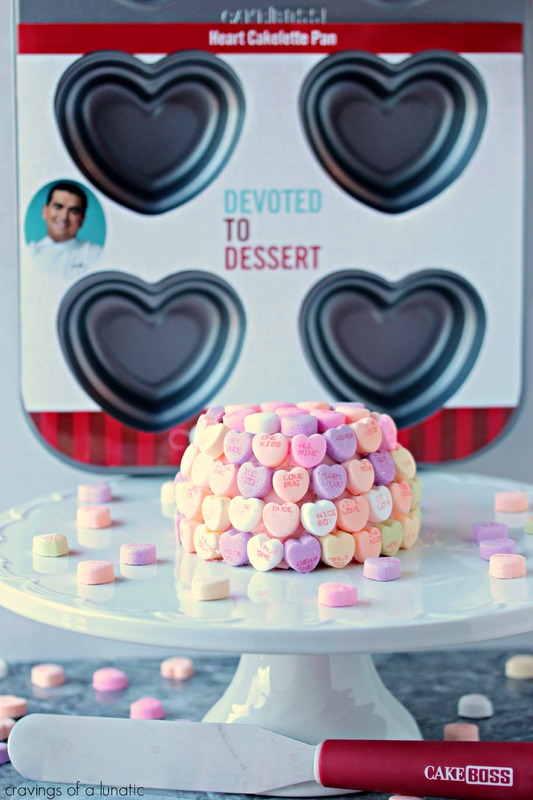 Hop, skip or run over to Cake Boss Baking for this great recipe for my Conversation Heart Cakelettes. You can print it off from their website, then get to stepping. Right into the kitchen to make your very own. But before you do make sure you enter the giveaway. I want YOU to win. So throw your hat in the ring and enter today! What’s up for grabs? Some Cake Boss Baking gear, of course. Giveaway is open to anyone with a U.S. mailing address. Must be 18 years of age to enter. Winner has 72 hours to claim their prize. Good luck! Have fun! Tell your friends! Swing by Cake Boss Baking to peek around their shop. 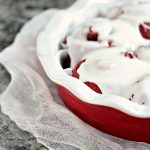 There are so many awesome bakeware and baking products. I can tell you from personal experience their line is amazing. I have accumulated quite a collection and am endlessly pleased with every piece. Also make sure you buzz by their facebook page. There’s a Love is in the Baking Sweepstakes happening over there too. So be sure to enter for you chance to win that as well. 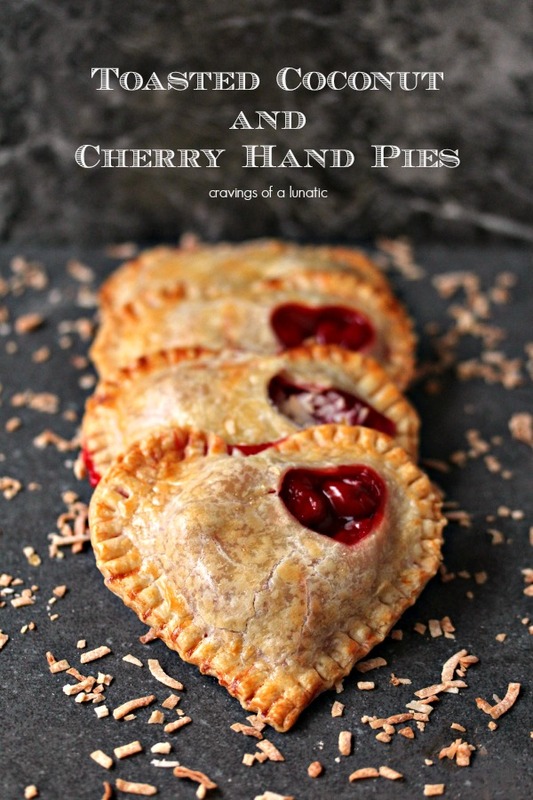 Be sure to poke about my recipe index for more great dessert inspiration. You can also follow me on Pinterest to see what I’ve beeen craving lately. ..yep…way too cute! Love it! What an adorable dessert! And so many variations!! Something for everyone—now where is mine?? These are down right adorable!! 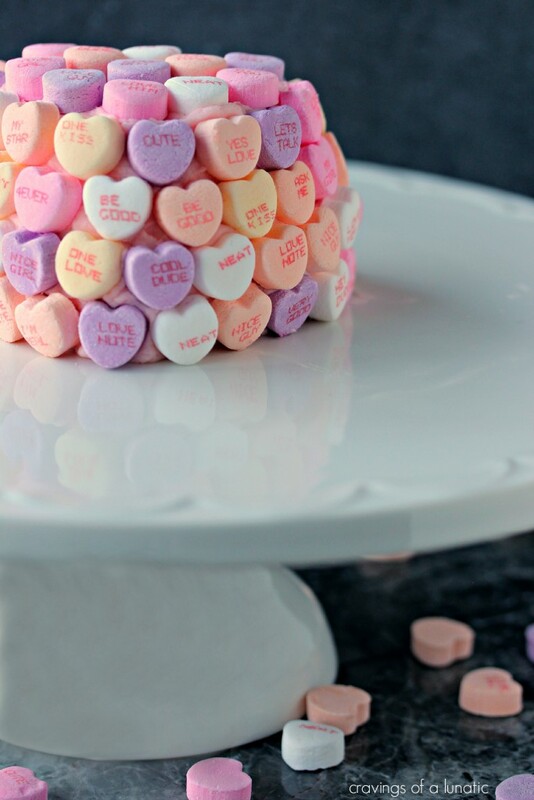 I love the candy hearts all over! I love warm chocolate chip cookies…it’s the comfort factor! For people I love, my favorite thing to bake is banana nut bread. 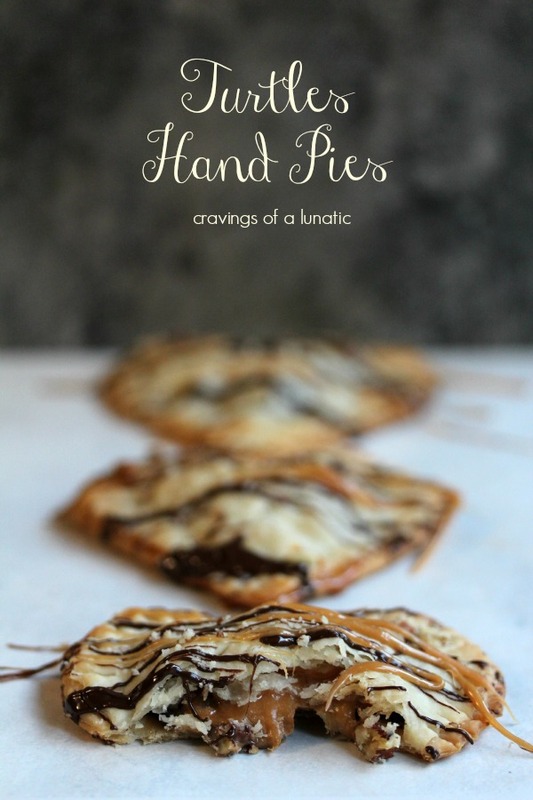 I can’t wait to make these for my coworkers! 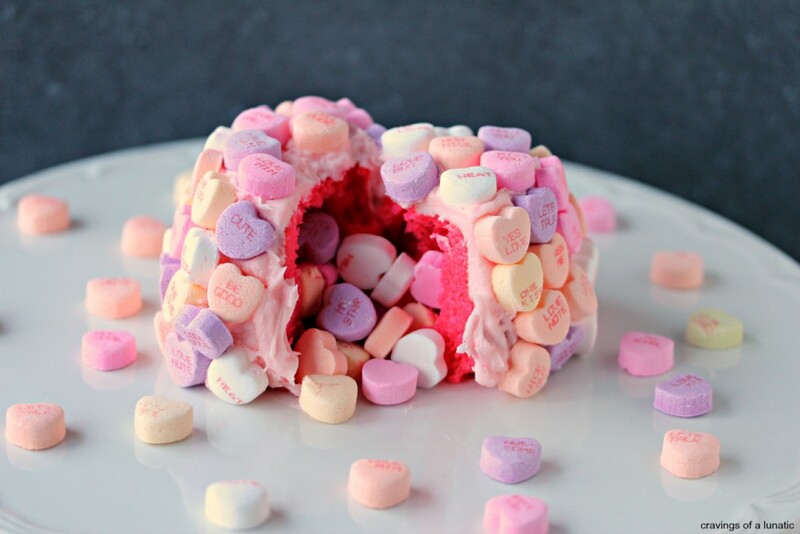 What an adorable idea for a Valentine’s Day dessert! So so pretty! Thanks so much Anna. I cannot wait to see yours. Your photos always blow my mind. I love baking portable/single serve snacks. Can’t wait to try! So adorable especially for a little girl’s b’day party! I don’t think these could be any cuter if they tried. Nope. “But that’s not all folks!” <– lol. I love how it just kept getting better and better! And lady, you've slayed me with all the cuteness. Thanks Nancy. I had a blast with this cake. Such a fun project to work on. We need to hang out. I’ve got doc appointments booked through the 13th, so want to skype the week after? I’m firing off a package to you at the end of this week. So look for it in about a week or so. A package?! What package?! I love surprises but I hate waiting for them. Whatever it is, you really shouldn’t have! Yes, i definitely want to cyber-hang with you. Let me know when’s a good time after the 13th and let’s set up our skype chat. These cakelettes are sooooo adorable! I was looking for something to make for my son’s class and this takes the cake! 🙂 Pinning! Super adorable!!! I really, really loooove the surprise inside! These are seriously adorable, And I love that you even snuck some inside for a fun surprise. 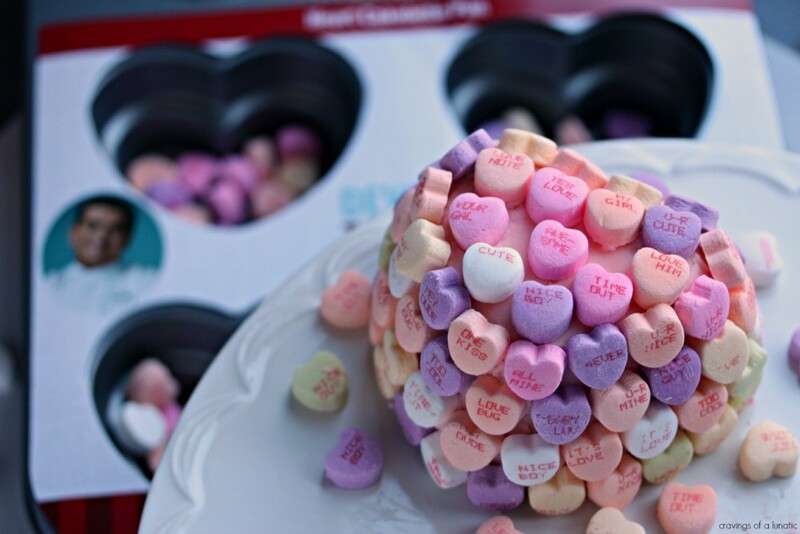 I could use a pan like that, I don't have enough heart-shaped food in my life! Such a fun, easy idea. My favorite thing to bake is eclairs. Those are pretty darn cute, Kim! 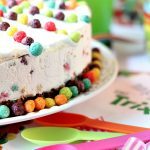 What a fun treat this would be for my kids. I love that cake stand and that pan! These little cakes are too cute! I’m a sucker for heart foods this time of year! This little cake is super cute! Mini desserts are the best! haha I definitely didn’t expect to see that these were filled with conversation hearts too – how fun is that?!? I love those little heart baking tins, too. I could have a lot of fun with thouse. TOTAL cuteness overload with these little cakelettes. 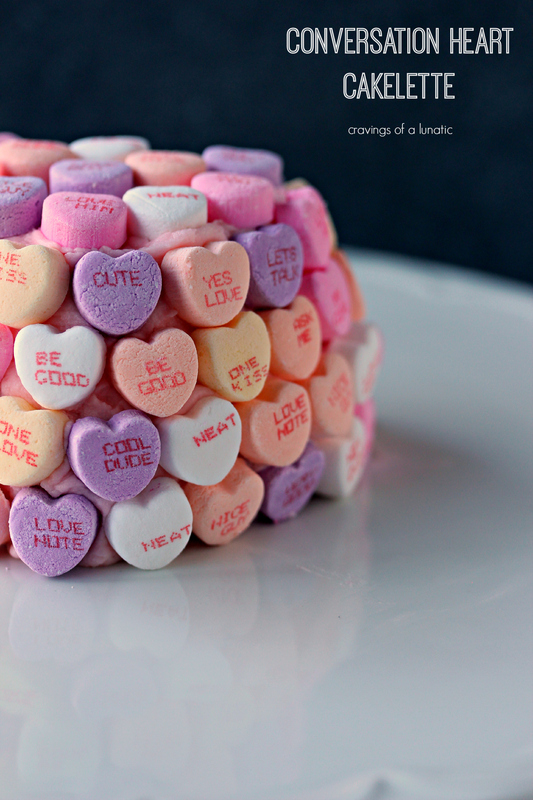 The conversation heart middle is the best! I really don’t make enough little desserts. The cake stand is bee-yoo-tee-ful! Conversation hearts are my favorite v-day candy. The orange one is my favorite flavor 🙂 This little cake just scream v-day deliciousness. I love that when you cut it open there is a candy surprise inside too. I think I would like mine stuffed with cinnamon candies….yum! I did a bunch of versions of this. Cinnamon hearts was one of them. But I sent hubs for the hearts and he came home with these cheap versions that were so NOT heart shaped. They looked ridiculous on the outside of the cake. I like the skittles version. I may post that one too. It is super cute. It’s so fun to do. Would be cute thing for baby showers. Shut the front door on the cuteness going on here! First I would eat allll the yellow hearts! Awe, thanks Elizabeth. I had a blast making it. These are so freaking cute! My extent of valentines day baking is to cut cookies in the shape of hearts. Yours is WAY more creative! Oh my goodness!!! How freakin adorable are THESE?!? How creative! Love them. And my favorite thing to bake for people I love is a big ol’ chocolate cake. It’s my family’s favorite. this is so freaking adorable, I’m talking pug level cuteness. I love the surprise in the middle (so less cake we can eat it all plus the candy right?). 🙂 I’m thinking all the potential options here and those pans are perfection for when you are just in the mood for a tiny cake. Oh wow pretty sweet. What an innovative idea! What a cool idea!!! So fun for Valentine’s Day! 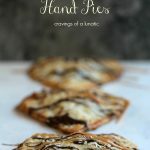 My favorite things to cook for other people are TREATS! What an adorable dessert! 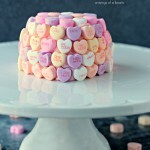 Love the heart shaped cake. And conversation hearts are my favorite candy! These are just adorable! I love that they’re filled with the hearts too. Perfect! These are just so cute! What a great idea for Valentine’s day! oh my goodness, will you be mine? One of my most favorite things to bake is chocolate chip cookies. I’ve have had marriage proposals after people have eaten my chocolate chip cookies! My husband loves apple desserts. I am always making him apple pie when I want to do something special. 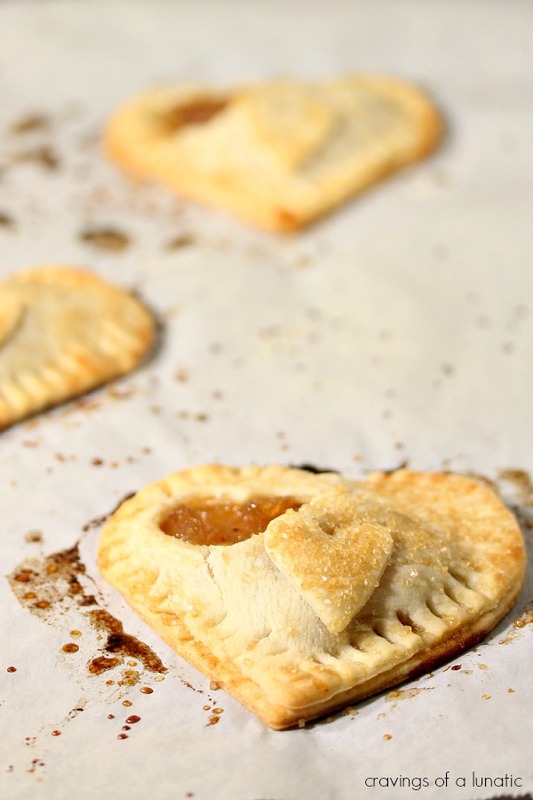 I like to bake an apple pie for people I love. For me it’s time consuming and that’s why it’s special. Love your giveaways, Kim. Thank you for the chance to win. My favorite thing to bake for those I love, is cupcakes. My favorite thing to bake for my favorite people is cookies. And cakes. I love to bake fresh homemade bread for the people I love. 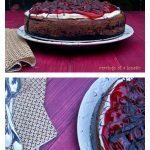 Cake – Mark loves cake!! I bake lots of cookies, Gluten-Free. I would definitely put these to good use!!!! !